Mali Mish - Day 176: Leaving Alabama for Biloxi, Mississippi. We must stay a night somewhere inside the state lines. 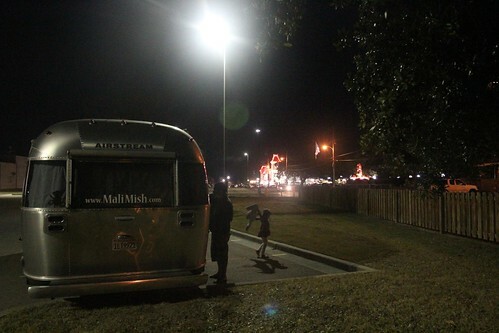 It can be any overnight spot like a Wal-Mart, Cracker Barrel or truck stop. We must see at least one sight that is unique to the state. This can be a state park, a national park or any attraction that is unique only to the state. We must eat at a local eatery. That means McDonald’s or Chipotle will not count. The only chain restaurant that might work is a visit to the original location of a national chain if it originated from that state. Since we stayed last night at Meaher State Park, we were able to tick off both number 1 and 2 on our list. Before we leave to hit up a local restaurant, we planned on taking showers, filling up and emptying the appropriate tanks as we might be boondocking for the next couple of days. Here at Meaher State Park, the bathrooms are cleaned each morning at 9am. And you might assume that cleaning a bathroom shouldn’t take more than, let’s say, an hour. Well, apparently it does. We waited all morning and the bathrooms never opened up. Our new friends from Nova Scotia were also waiting but at around 1pm, they gave up and left. 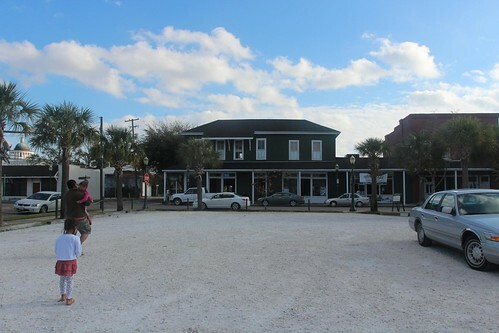 We hope to maybe run into them again in the coming weeks as they are also headed west towards New Orleans. If we don’t see them, we will hit them up when we eventually make our way up the maritime provinces of Canada at some point in the future. Our official checkout time was 11am and since we are waiting around to use their showers, we hopped over to the overflow parking lot while we waited. 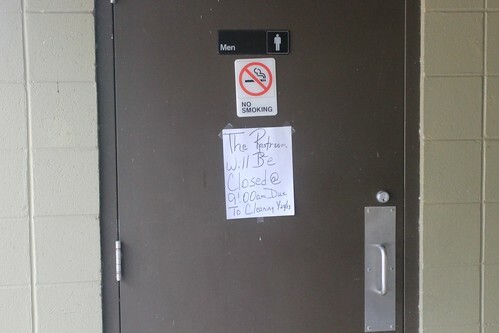 As 2pm rolled around, the bathrooms were still closed. Ava and Marlene got on a Skype call with her teacher to go over Ava’s homeschooling progress while we kept waiting. Eventually, we got word that they were bleaching the floor of the bathrooms. They rinsed the floors at 9am with bleach and water. Rather than washing it off and mopping up, they were waiting for pools of bleach and water to just air dry. Yeah, with the windows and doors closed no less. The floors never did dry but Marlene was allowed to use the shower anyways at around 3pm. 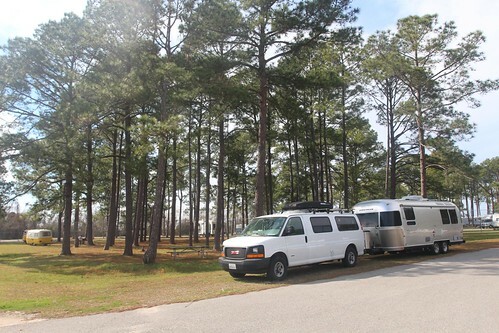 We headed out of Meaher State Park across Mobile Bay in to Mobile, Alabama. 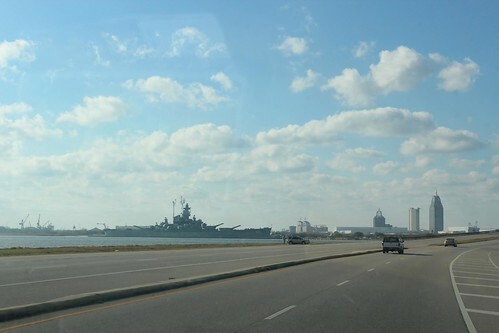 Since we had already visited Battleship Park during our last trip, we decided to skip it this time around. 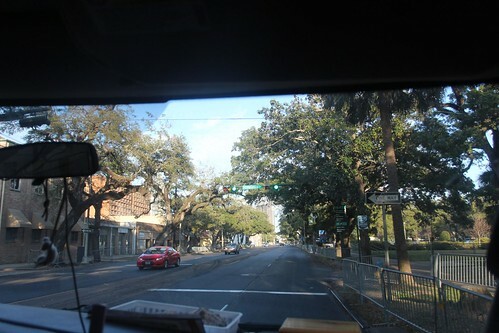 As we got into the city, landmarks and streets started to look familiar as memories of our last visit rushed forward. 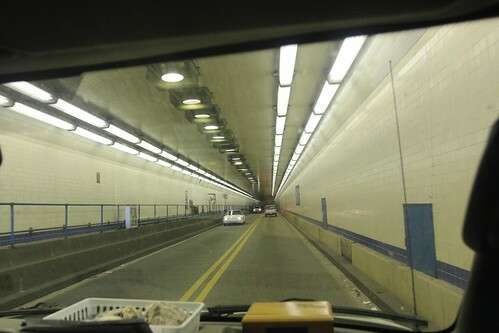 We hesitated for a second about getting into the George Wallace tunnel as we weren’t sure if we were too tall for it. I soon remembered that we drove through it last time at night without any issues so we gave it a shot. 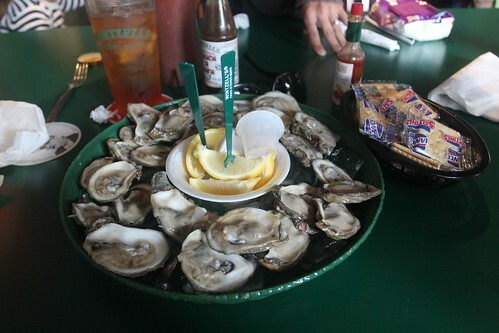 This afternoon, we are going to make our visit to Alabama official by eating at Wintzell’s Oyster House. Our delay at the park worked in our favor as we got here just as their happy hour started at 3pm. This will be the 5th and 6th dozens of oysters I will have consumed with in the same week. At $6 per dozen, I am robbing them. 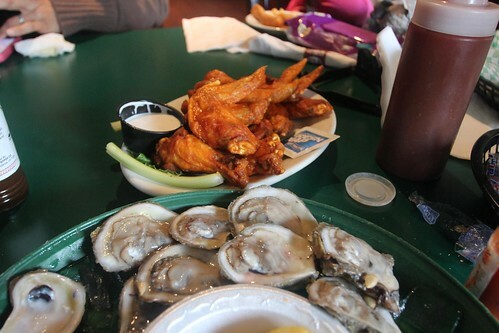 Not only were the oysters delicious, they also make great buffalo wings for only $5 during happy hour. They make them exactly the way I like them, not breaded, with sauce that is spicy but not too sour. As we headed out of town, we saw a lot of people working to get ready for some type of event on the road. As it turns out, Mobile, Alabama is the city with the oldest Mardi Gras tradition in the United States. Had we known that the celebrations were children friendly, we would have stayed another night. 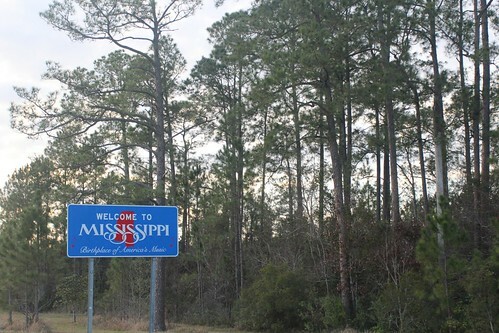 Tonight, we are headed into the state of Mississippi. On our last visit, we never even stopped and touched our feet to the ground. We are going to try to change that. 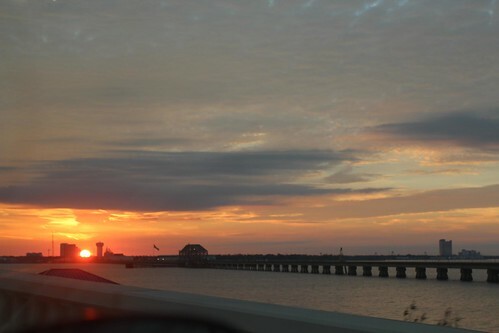 To accomplish item one of our checklist, we decided to make landfall at the gambling gulf shore town of Biloxi. Biloxi has suffered its fair share of hurricane damage in recent years and it shows. A handful of waterfront properties have been left abandoned. Some of them look as if they were in the process of rehabilitation but the economy has likely ground that to a halt. There weren’t very many Wal-Marts and Cracker Barrels to park overnight here but there are plenty of casinos. We found a nice dedicated RV lot at Boomtown Casino with a handful of other overnighters already there. Tomorrow, we will try to check items 2 and 3 off of our list for Mississippi. 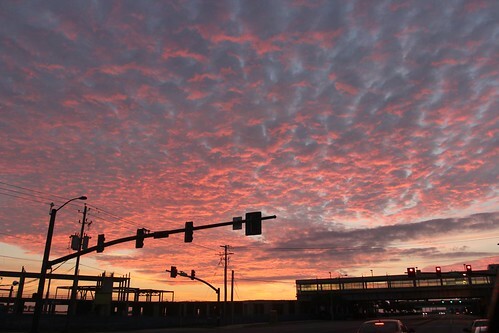 5 Responses to Day 176: Leaving Alabama for Biloxi, Mississippi. Hi Dan – we are still following you. Biloxi is pretty dangerous at night if my memory serves. So far in your travel venture- have you encountered any dangerous moments crime wise? We are getting very close to going to work at a lake called Big Hill Lake in central Kansas. It will be our first official pull/tow. What size engine are you pulling with? Those are some strict rules! Hi Billy, we haven’t really stayed at any places that have felt dangerous to us. We have driven through neighborhoods where we probably should not have been but we don’t stay for long. My van has a duramax v8 diesel engine but it isn’t necessary for our trailer. Leigh, I think instead of achieving each rule individually, achieving combinations of the 3 rules, even repeating them will also count under our method. For example, if you don’t eat out but you stayed 3 nights in state boundaries, that will count. 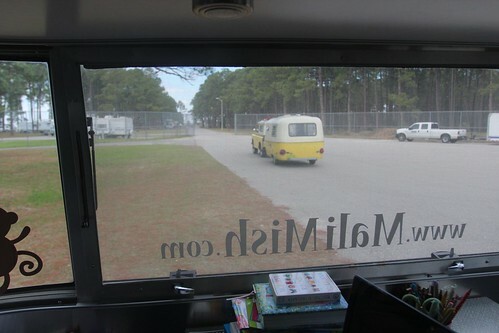 Or if you don’t stay the night but you eat at 2 different local eateries and spend the afternoon at a state park, bingo!